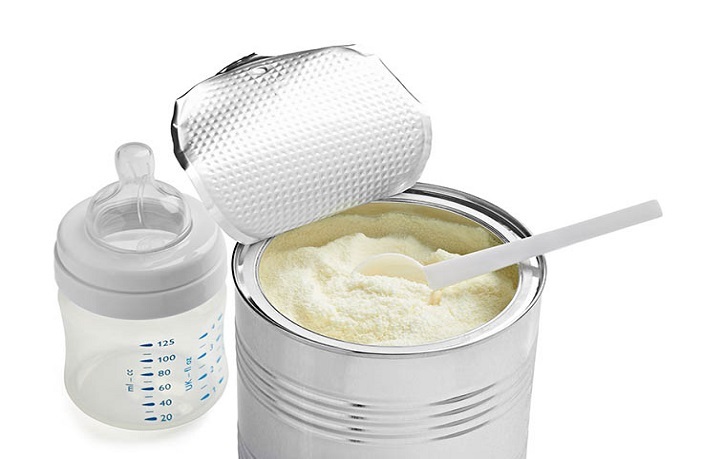 Whether you are formula feeding entirely or supplementing your breastmilk, it is very important that you understand the basics of preparing and handling formula milk. 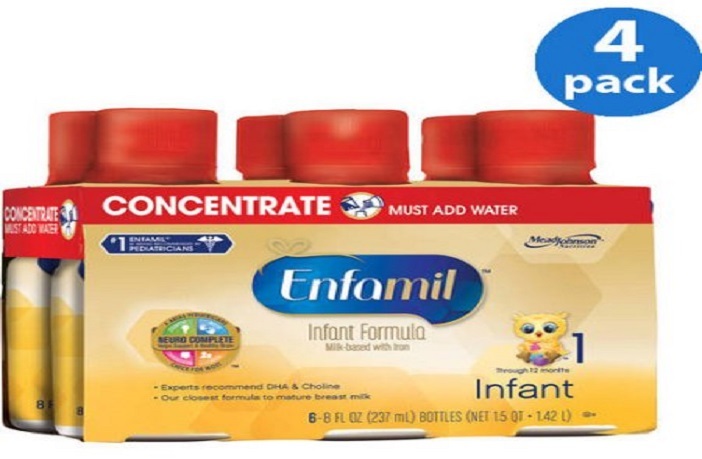 After you have selected the right formula for your baby for which you can take your pediatricians advise, the next important step is to choose between the forms of formula milk available in the market. What are the Different Forms of Formula? Apart from their forms and the way they are prepared, there is one major difference that you should know about. Powdered formula is not sterile and should be prepared exactly how it is instructed on the container to avoid your baby falling sick due to it. On the other hand, Ready-to-Feed and Concentrated Liquid formulas do not have any bacteria and are sterile until they are opened. Which Form of Formula is Right for Your Baby? If your baby is born healthy, on or after the due date, you can feed him any form of a formula. If the baby is born premature, with a low birth weight (less than 2.5 kgs), or with a weak immune system and is more likely to fall sick, it is recommended that you feed him either ready-to-feed or concentrated liquid formulas. Your doctor can also advise you in choosing the right formula for your baby. 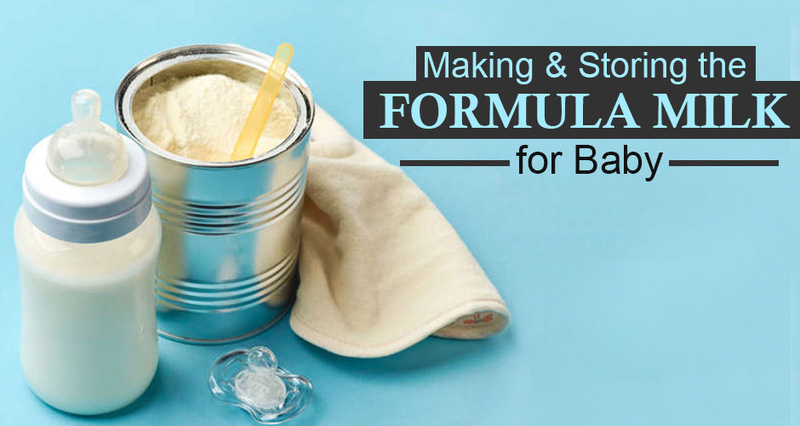 How to Prepare & Store Formula Milk? Now that you know how to choose the right form of the formula for your baby, let’s discuss how to prepare and store each of these. As the name suggests, it’s a readymade formula that you can feed your baby right away without adding any water to it. Though they are little more expensive than the other two, it comes very handy when you are out of the comfort of your home. Pour the milk into a sterilized bottle. Do not pour out more than your baby would drink and throw away any leftover formula if not used within two hours. If your baby likes to have warm milk, you can warm the bottle in a pan, jug, or bowl of warm water. Leaving the bottle in the warm water for about 15 minutes does the job. You can also buy an electric bottle warmer that takes only 5-6 minutes but refrain from using the microwave to do this quickly as it heats unevenly and can create hot spots. You can store the opened container of the formula milk in the refrigerator after covering it, for up to 48 hours. Throw away unused formula after that. If not opened yet, store the ready-to-feed formula container in a cool and dry place. Boil the water in a covered container for a few minutes. Let the boiled water cool down at room temperature. Carefully measure and mix the formula, following the directions on the package. If you prepare more than what your child will have, you can safely store the mixed formula in the fridge for up to 24 hours. Open containers of concentrated liquid formula can be covered and stored in the fridge for up to 48 hours as well. If the container has not been opened yet, store it in a cool, dry place. This is a commonly used formula by parents, easily available, and economical as well. Let the boiled water cool down to room temperature. Mix the formula powder and water following the instructions on the package. Use the prepared formula right away. It is recommended that you only prepare one bottle at a time. If you make more than one bottle, cool the bottles quickly and store them in the fridge and use the prepared formula within 24 hours. The opened container of the powdered formula must be used within a month. Make sure you always tightly close the lid of the container after every use. When Should You Prepare the Bottles? Some parents prefer to make a bottle just before each feeding, but some others choose to make enough for the day and store in a refrigerator. The latter is a good practice if you know your baby needs to fed every 3 to 4 hours and there are other things that keep you busy. You can prepare six to eight bottles depending on your baby’s requirements every day. Always check the expiry date of the formula before buying. For the powdered formula, write the date on the container the day you open it. This will help you remember that you cannot use it after a specific day (30 days from opening). 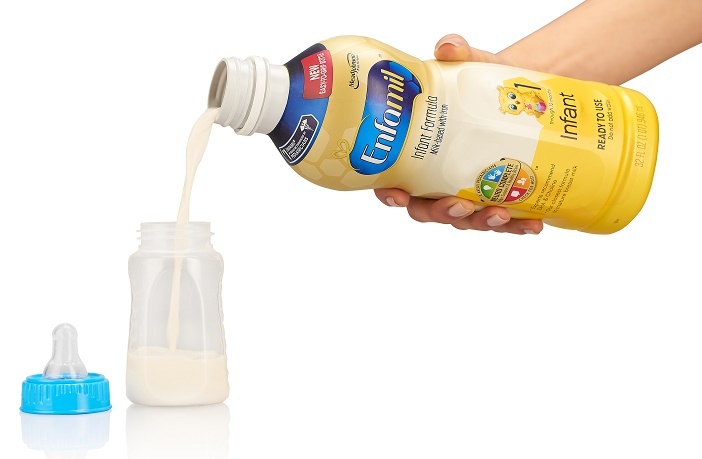 If your baby doesn’t drink all the formula within one hour, throw it out. Do not attempt to refrigerate and use it later as it may form bacteria that can make your baby fall sick. It is very important that you mix the formula and water as specified on the container. Too little water in the mixture can cause dehydration to the baby and too much of it will lessen the effect of the formula milk as the baby will not get enough nutrients. Since the doctor knows best about your baby’s health, it is always a good idea to consult him about choosing the right form of the formula. He can also advise you on the brand if you are not sure.